Sometimes even with the best possible performers, the recipe just doesn’t work, each artiste preferring to stick to their own comfortable perfection. And at no moment do they seem to want to share with either their colleagues or their audience the grand adventure that is music. But when a performance is lit up with intense moments of friendship and generous exchange of knowledge, and, in addition, there is lots of talent all around, then we can tell ourselves that ours is really the best profession in the world! And this is exactly what happened during the recent remounting of Orfeo, Crossing the Ganges, after the opera of Claudio Monterverdi, at two beautiful French theatres in Metz and in Reims. As a singer primarily trained in Hindustani classical music, my journey into Western classical has been very special via Orfeo. I found this production as the best blend (‘Jugalbandi’ as we say in India) of the both forms of classical music. One may immediately exclaim, Ah! A Fusion! but as Françoise would agree, I strongly suggest it is not a fusion. To most of the musicians, listeners and many connoisseurs this is a blend quite difficult to imagine. Our musical director could however see the underlying similarities between the two styles. I could personally interact with Baroque musicians and could exchange the musical nuances with them. All the soloists, choristers, directors everybody worked day and night for two weeks as one big family. We were not just performers but an integral part of the whole production taking up various other tasks on our way. One such unique experience for me was the scholastic event between the students/citizens and Indian musicians. It was an insightful effort by Akadêmia in creating an acquaintance between musicians and audiences. For me, it turned out to be the feather in my cap as I was invited to translate the Hindustani terminologies and explanations into French for the audience. I truly became the bridge between the two cultures. This was an obvious outcome from a production which is in itself an example of unique amalgamation of East and West. I wish more and more people watch Orfeo to believe that it is certainly possible to bring the two different worlds at the banks of one ‘Ganges’ which is ever-flowing with music. If I had to sum up my experience in one word in the recently concluded opera, Orfeo par-dela le Gange, the word would be supercalifragilisticexpialidocious. A magical word for magical performances in the beautiful cities of Metz, Arsenal Theater and Reims Opera House. We were called the “Indian Dream Team” by the brilliant Musical Director/Conductor and educator FRANÇOISE LASSERRE, because she said we not only moved with ease and purpose on stage which was cleverly and carefully directed by the always zen like state of mind Director of Stage, FRANÇOIS RANCILLAC and graceful choreographer CHARLOTTE DELAPORTE, but also able to sing with freedom and still feel the tactus or pulse of the music. This for me was evolving from a singer to an artiste. I can’t finish without mentioning a little I know about Françoise Lasserre, our guide and mentor. Her deep understanding and holistic approach to music helps us connect to and understand the musical compositions in a fun and lively way. Our rehearsals are always punctuated with laughter as we have developed a good sense of camaraderie with her and her Akadêmia team. In the four years I’ve been part of her projects, I have learnt that she does not like when people say “I am an opera singer” as it gives an illusion of grandeur and little understanding. She prefers honest singers with their imperfections because it gives her the opportunity to create music. That’s the dream she has for India and we are fortunate to be part of that team. 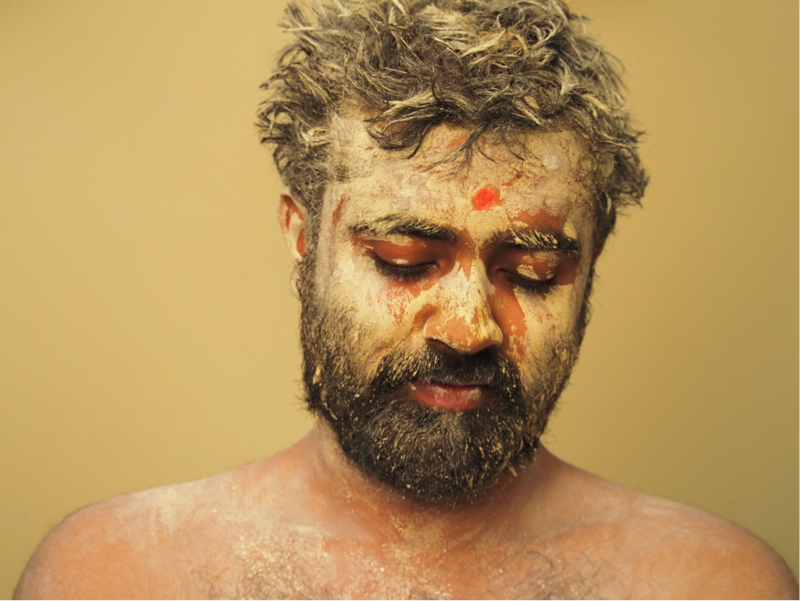 Being a member of the cast of Orfeo, Crossing the Ganges was a rewarding experience. Interacting closely with professionals who are used to working in short, intense bursts before a show really taught me to be on the ball with every aspect of the production, both on stage and off. The majority of performance opportunities in India follow concert format, where the singer performs from a single spot on stage and focusses entirely on singing. Therefore, being in a production where acting, dancing and singing must occur simultaneously positively amplified each separate skill, and helped me to grow as a performer. The icing on the cake was being able to perform in the wonderful Arsenal, in Metz, with its unparalleled acoustics, and the jewel box of Reims Opera House. Orfeo par-delà le Gange was indeed a trilling experience for me, with so much drama, dance, love, expression, music and of course lots of fun in the beautiful cities of France. I was really privileged to work with such passionate and experienced artists who contributed greatly to my professional and personal growth as a budding opera singer. This was my first experience of singing in an opera hall. This experience was a beautiful and unforgettable one! When I look back at this experience I feel like a star! Anoushka is now studying in London. Working with Françoise Lasserre has always been a learning experience, and this time was no different. She’s a great advocate of musicality and artistic interpretation, and I have learnt much from her. We got to work alongside spendid singers and musicians, and were able to profit from their years of expertise in the genre of Baroque music. The fusion of Indian and Western classical music and that of Greek and Hindu mythologies was a brilliant concept that left everyone in the audience overwhelmed. Ramya is studying in Paris. She got a scholarship from The Neemrana Music Foundation and from the French Embassy. After the fantastic experience of performing Orfeo, Crossing the Ganges in 2013 in New Delhi and Paris, it was with great excitement that we undertook this project. As I had been preparing to pursue music seriously and commence my studies at a conservatory in Paris, being a part of this production was an extremely valuable experience, as I was able to appreciate and perhaps understand the nuances of this beautiful music more than when I was younger, with the opportunity to observe and learn from all the wonderful and experienced musicians and singers who were always willing to help, to get to know each other more than we did the last time, and then to finally share the stage and perform with each other in this magnificent spectacle! Among many laughs and amazing memories, whether it was going jogging together by the lake, all-day rehearsals, the Bollywood dance parties, or discovering the beautiful cities, it all culminated in a superb 3 shows which were extremely memorable for us, and for the audience as well. Bhanu is studying in Paris. He got a scholarship from The Neemrana Music Foundation and from the French Embassy. Even though I have been performing for over 20 years, this was the first time that I was part of a production and that too of this magnanimity. It has been a privilege to be part of this production in which there was a rare amalgamation of the western classical and the Indian classical both, in terms of music, dance and people. Conceptually, I thought the arrangement was brilliant with an Occidental Opera been given an Indian Touch. I personally love mash-ups and was really in my element to be part of this great performance. I loved the way the entire production was choreographed and the lessons given to novice dancers was amazing as it got me to dance, which was amazing for me. It opened me up to a different potential which I never knew I could. The fun, the excitement and the frolic backstage was unparalleled. Queuing correctly and being in time, kept me on my toes all through. Initially was “lost” as there were too many languages floating around. Suddenly being bombarded with “French instructions” and “Italian lyrics for cues in the movements” was tough. Hearing two foreign languages and trying to perform on time was quite a task! But with all the practice that was given, it was effortless as time went by. Both the Opera Halls, beautiful as they were, did not overwhelm me as I was confident. How can I forget to thank you all for everything, when you have given me so much to remember? I thank you so so much Françoise for this opportunity ! You have been the Rock of Gibralter through this entire experience and I look to you as I have so much more to learn more in the future. Françoise and Charlotte really made me move and that is something that I will always be grateful for. Sabine really brought it all together visually with the look created for us and Julie who silently executed everything to the T. Thank you all for bringing it all together so well and giving me an experience of a lifetime. Praying that God makes our paths meet soon and we get to work together again. An exciting experience, the ensemble included a diverse group of performers from India and many parts of Europe. Being a part of this performance brought to the fore the meaning of unity in diversity. Music unified diverse cultures and traditions – Orfeo par-delà le Gange is essentially a Baroque opera that featured a spectacular twist with Indian culture merging into Monteverdi’s idea of Greek mythology. An enriching experience; the cast worked seamlessly with an extremely thorough and professional direction team, cooperating and encouraging each other constantly, switching from English to French effortlessly. During the Opera rehearsals, I found myself really drawn to the baroque instruments. The tuning of Baroque instruments is very different from that of instruments made today. I found this aspect to be the most fascinating as it was the most crucial part of the performance. The Indian instruments had to be tuned to suit that of the genre and even the singers were required to pitch their voices differently. The production was met with an astounding applause by the various audiences. Nitya is studying in Paris. She got a scholarship from The Neemrana Music Foundation and from the French Embassy. I have high hopes that Orfeo, Crossing the Ganges will be performed in India again at the end of 2017 to the delight of everyone. I continue working on establishing a professional choir in India. Thanks to voice lessons being given all across the country by teachers like Situ Singh-Buehler in New Delhi, for example, we can hope that, in the near future, it will be possible to earn a living as a Western classical singer. Next on the agenda is a competition for Indian singers of Western classical music. We will keep the readers of Serenade Magazine informed!